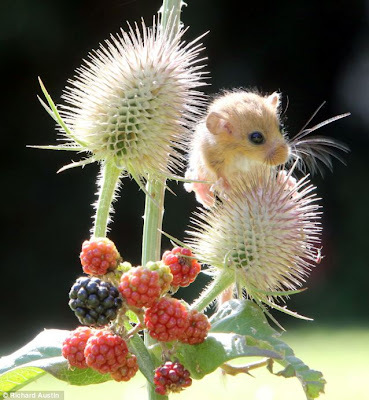 As places to play go, it looks like a rather prickly one. 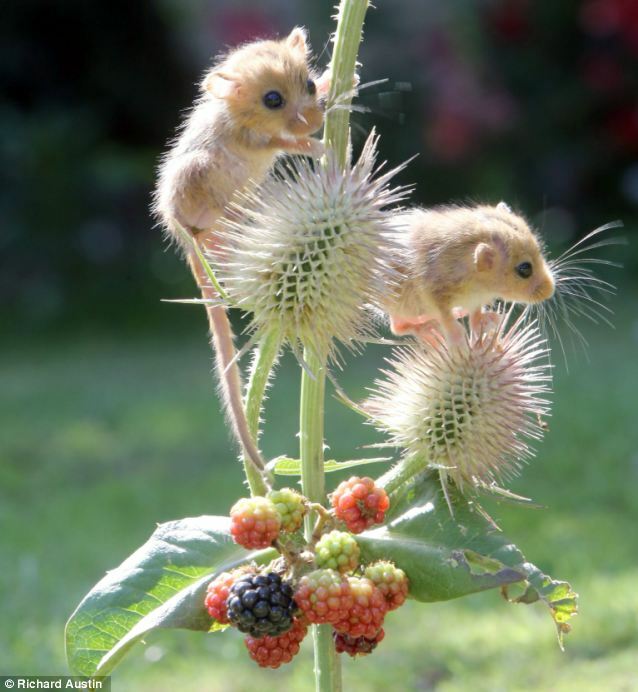 But these baby dormice were clearly feeling up for a challenge especially when there’s a juicy blackberry in sight. The plucky pair were in fact lucky to be alive after being found orphaned. 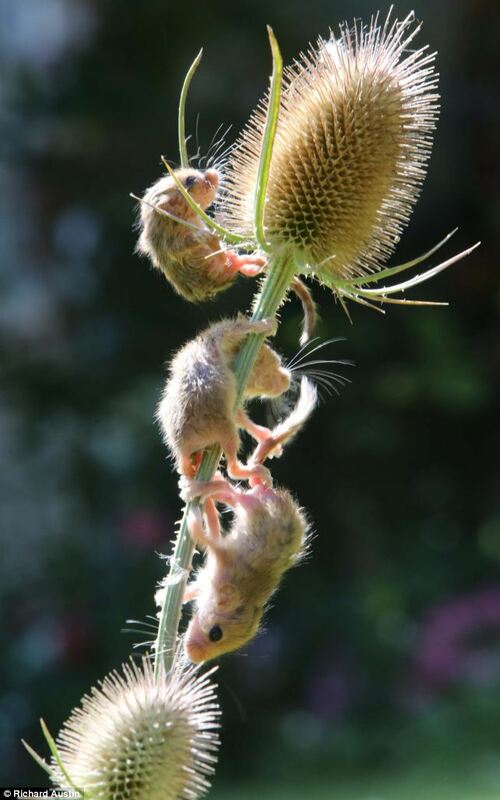 Geoff Brown heard their squeals coming from a beech hedge in his garden, on the edge of Bodmin Moor, Cornwall. 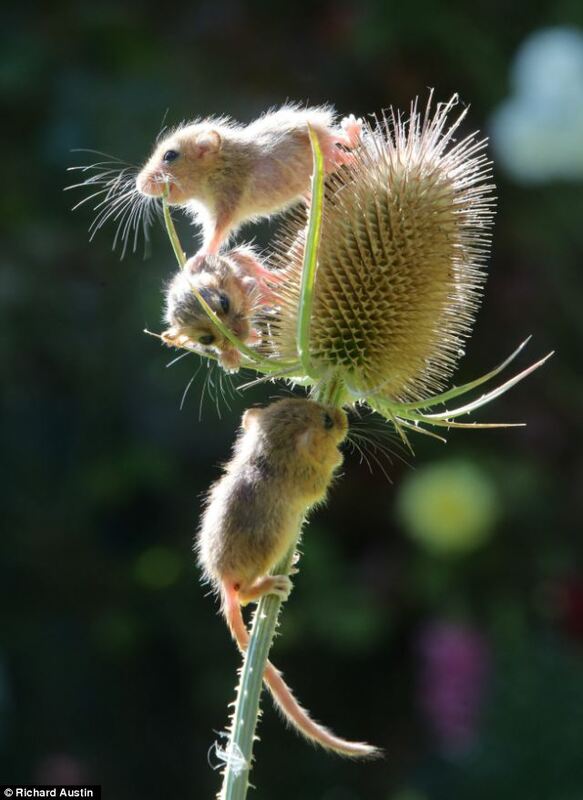 He called in his neighbour Jen Bousfield – who happens to monitor the endangered species – to investigate and she soon recognised the mice were in danger. She found six orphans in total in the hedge, with their dead mother lying close by. Soon after, she and her husband Peter drove the animals to Secret World, at Highbridge in Somerset. 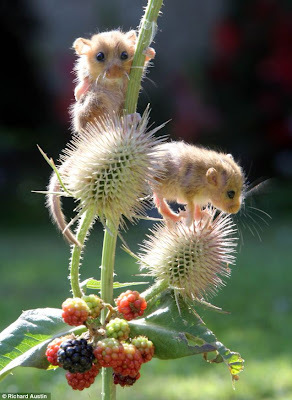 Charity founder Pauline Kidner said that sadly one did not survive the two-and-a-quarter-hour journey and two others had died later – but three survivors, including the pair in the picture, were all doing well. Dormice can live for up to five years and hibernate for as many as six months of the year.